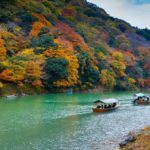 Kyoto itinerary 2 days — How to spend 2 perfect days in Kyoto? - Living + Nomads – Travel tips, Guides, News & Information! 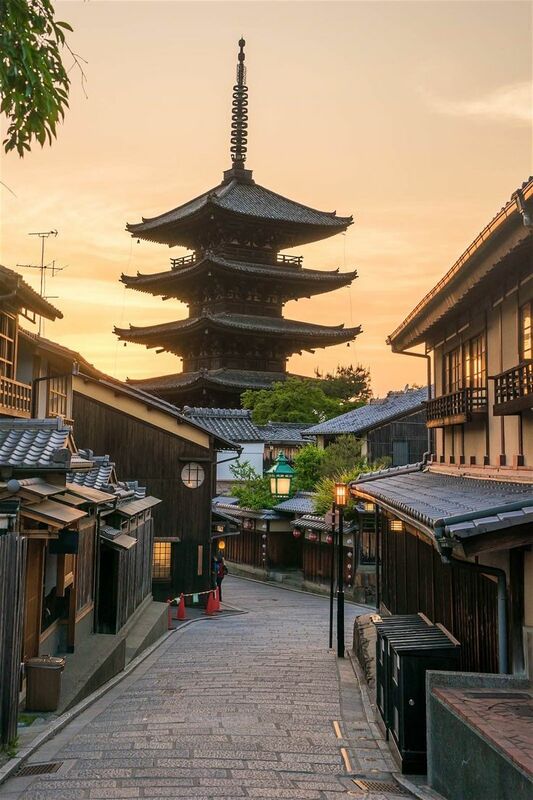 Formerly the imperial capital of Japan for more than one thousand years, Kyoto is known for its temples, wooden architecture, and traditional Japanese gardens. During my short visit there, I found that much of the city’s appeal comes not just from the history for which it is so well-known, but also from the charming cobblestone lanes with small teahouses and geishas darting about. More than 1,500 temples co-exist among all the modern conveniences and flashy details of a Japanese city, creating a fascinating juxtaposition. There’s enough here for a visit of several days, but if you have only two, here are suggestions of what to see, do, and eat. 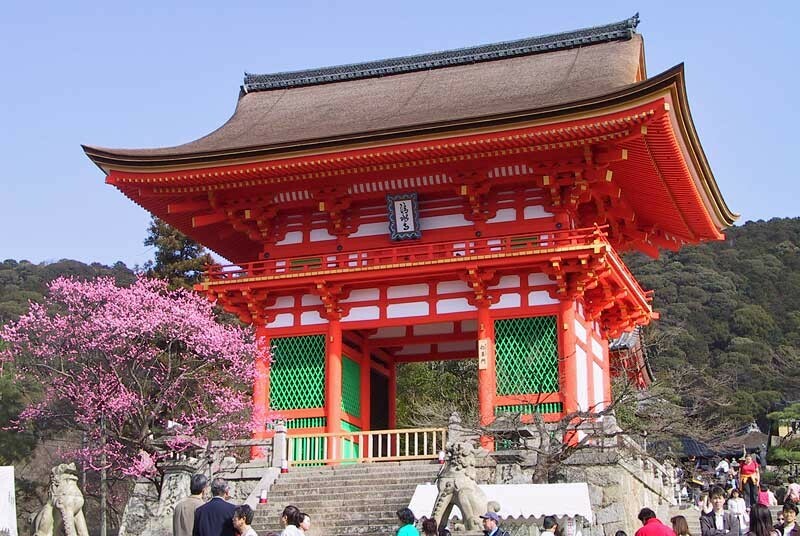 Now, let’s discover the beautiful city through details of Kyoto itinerary 2 days. Kyoto has so much to take in. Including delicious sushi. Image of Kyoto itinerary 2 days blog. VISIT: Ginkaku-ji Temple (The Silver Pavilion). 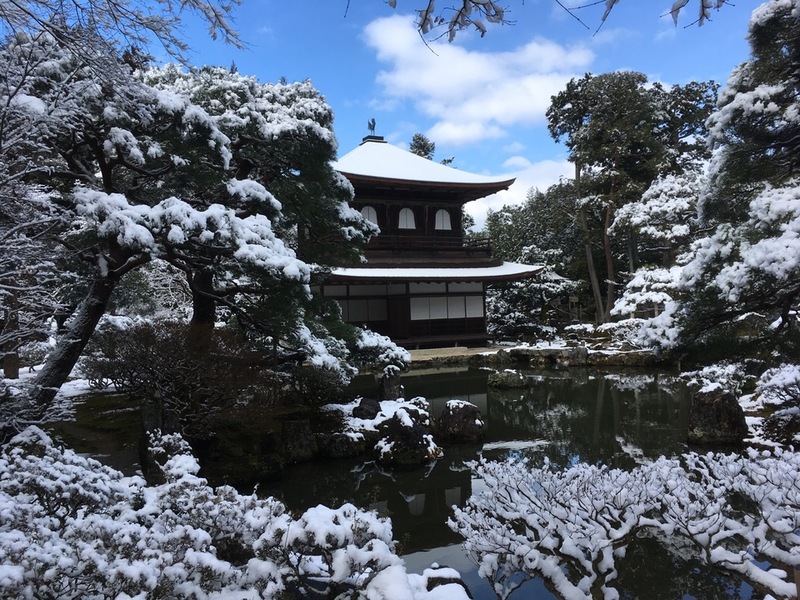 One of Kyoto’s nicest temples, it’s also one of the most visited – so plan ahead to arrive at opening (9am) or in the late afternoon just before closing. 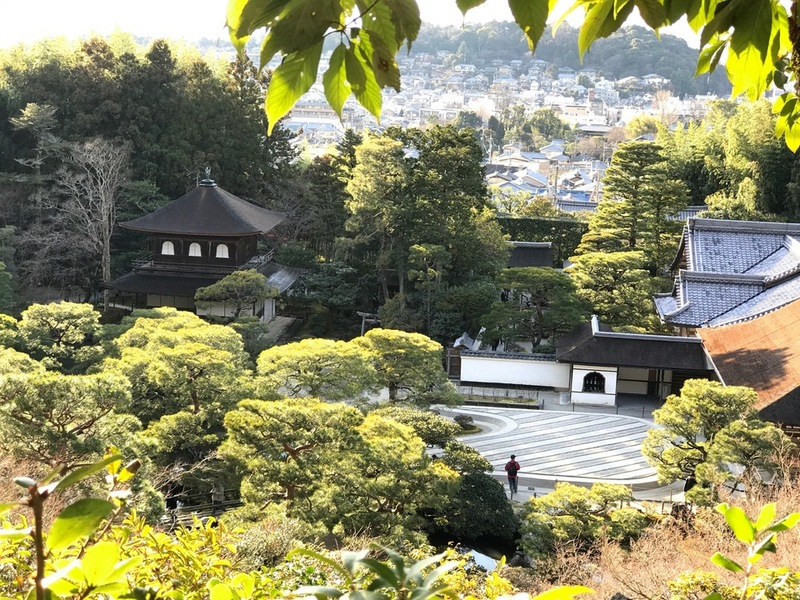 Besides the beautiful temple and its grounds, be sure to take the path to the moss garden and then up the trail behind the temple for a view over the whole pavilion – and the city below. 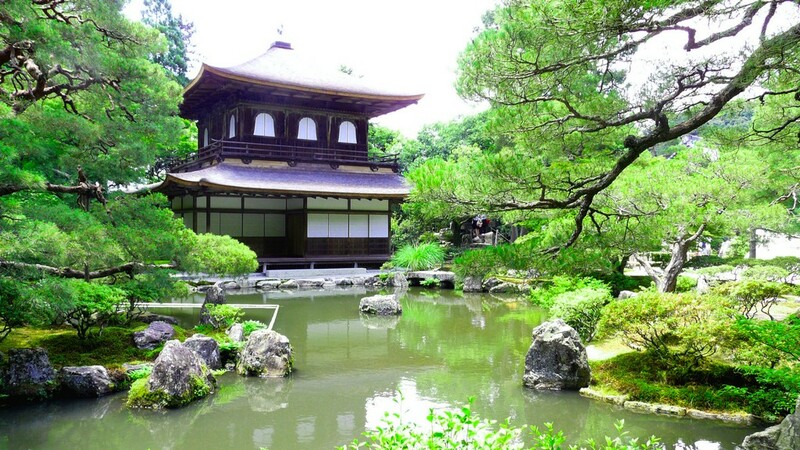 The Ginkaku-ji Temple. . Image of Kyoto itinerary 2 days blog. This temple was first built for a shogun (Japanese military commander) in the 15th century and soon after was converted to a Zen temple. Like many of the most impressive structures built in Kyoto, this one showcases the power of the shoguns. The grounds today include the two-story pavilion (which is actually brown, not silver), several other buildings, the moss garden, and a dry sand garden. 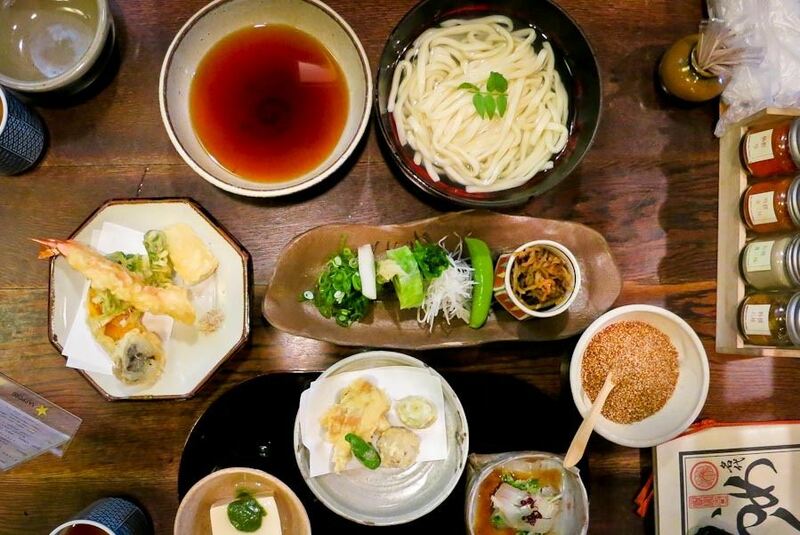 EAT: Udon at Omen. 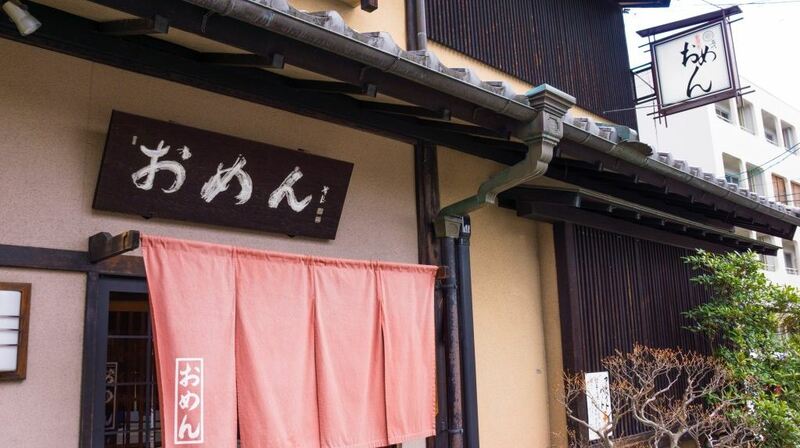 This small restaurant near the Ginkaku-ji Temple has some of the city’s best udon noodles. 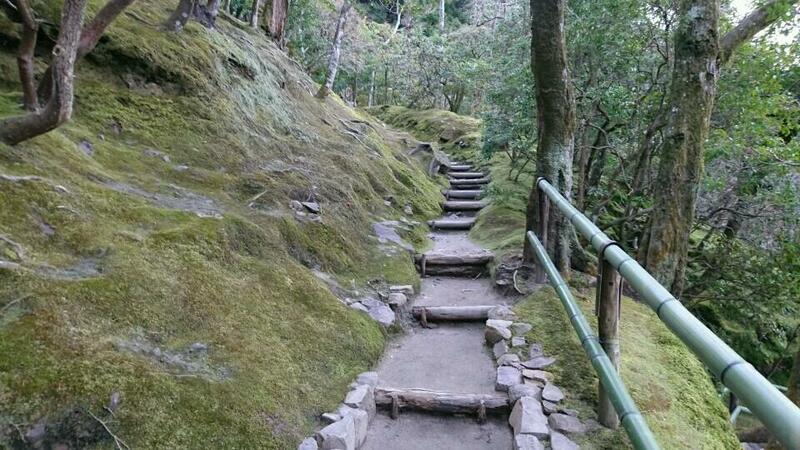 VISIT: Walk the Philosopher’s Path. 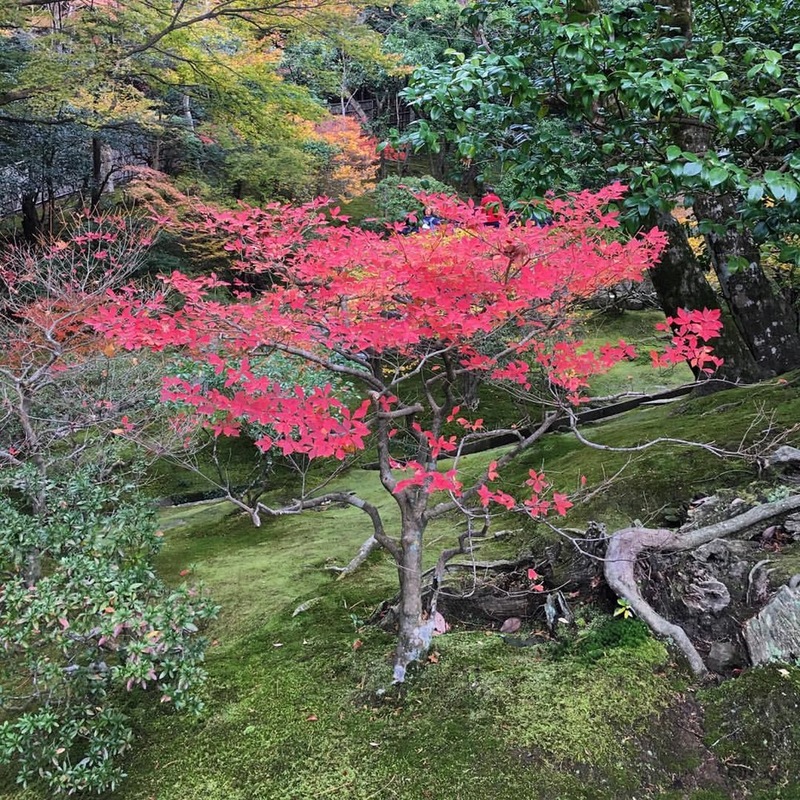 Perhaps the most beautiful place to walk in Kyoto, this path follows gardens and cherry trees and connects two of Kyoto’s temples, the Ginkaku-ji Temple and the lovely the Eikan-do Temple. Signs along the path direct visitors to nearby temples, such as the Anraku-ji Temple, and there are plenty of cafes to stop for a snack or warm drink. This path and its surrounding sights can easily occupy part of a day. 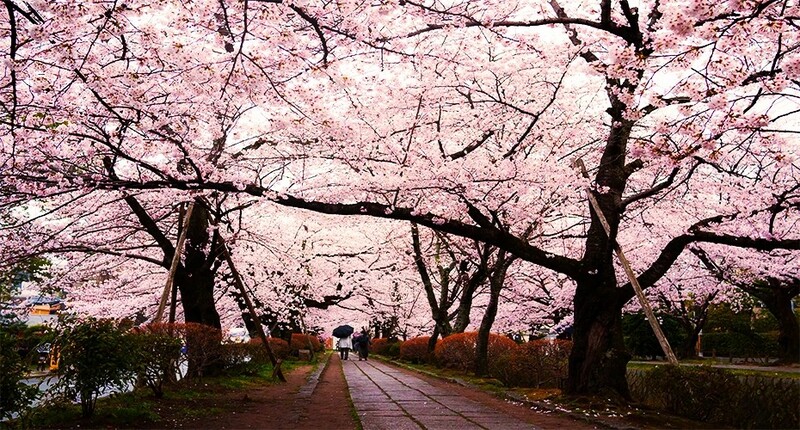 However, this is one of Kyoto’s most famous places to see the cherry blossoms, so if you come during the blooming season, you may want to visit only after sunset, when the trees are illuminated but the crowds have thinned. 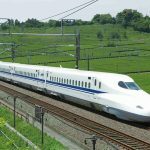 After a few hours in the Northern Higashiyama district, it’s time to head to downtown Kyoto for some afternoon and evening sightseeing and shopping. 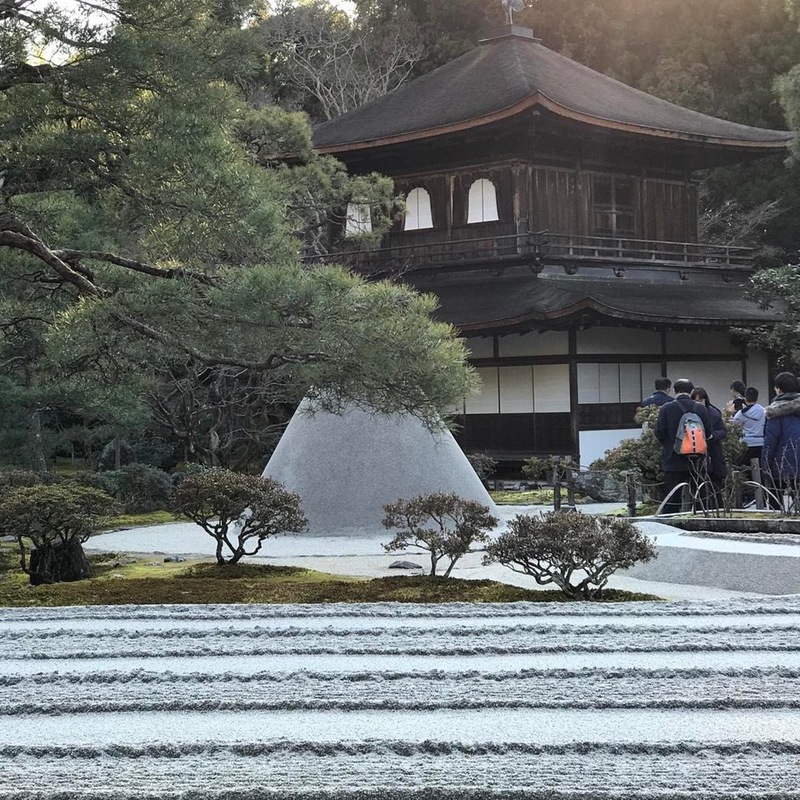 Connect between Ginkaku-ji and Eikan-do temples on this gorgeous path. . Image of Kyoto itinerary 2 days blog. 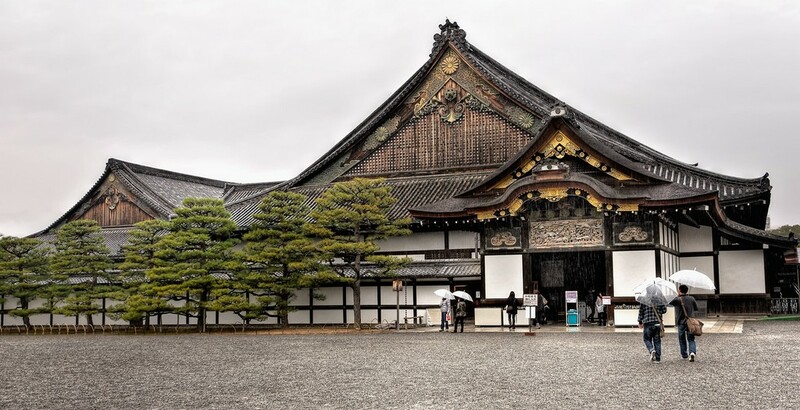 VISIT: Nijo Castle. This castle was built during the Edo Period beginning in the early 1600s. The castle is surrounded by wide stone walls and a moat, reflecting the importance of defense to this city’s former shoguns. The castle includes several main buildings that you can tour, including the Ninomaru Palace, the interior of which is elaborately decorated in gold leaf. The castle also has impressive traditional gardens which are not to be missed. DO: Shop in downtown Kyoto Nishiki Market. 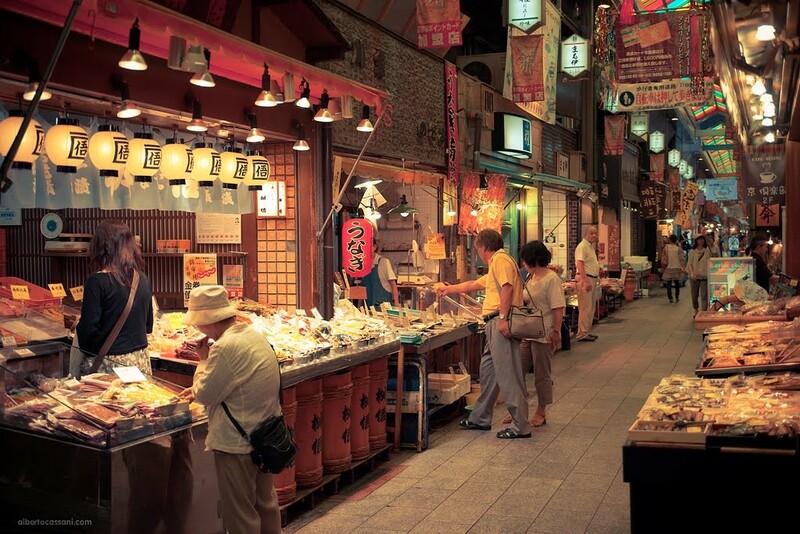 The best traditional food market in Kyoto, this mass of stalls sells all kinds of fish as well as small shops of Japanese sweets and other traditional food ingredients. The market closes at 5pm. Kyoto Nishiki Market. . Image of Kyoto itinerary 2 days blog. 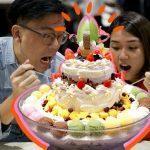 Daimaru: One of the city’s nicest department stores and possibly the best food market, Daimaru is an elegant place to shop and eat. You can enjoy an early dinner here and then pick up dessert in the store’s amazing basement food market before leaving. EAT: Tempura at Yoshikawa Tempura style. 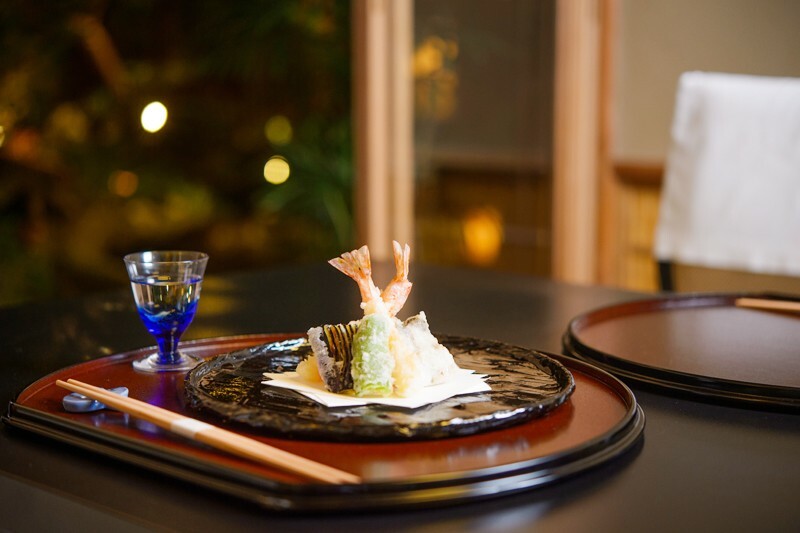 Located in Downtown Kyoto, the same district as the Nishiki Market and Daimura, this elegant restaurant serves perfectly prepared tempura in tatami rooms overlooking a garden. DO: Take in the night atmosphere in Pontocho Alley. 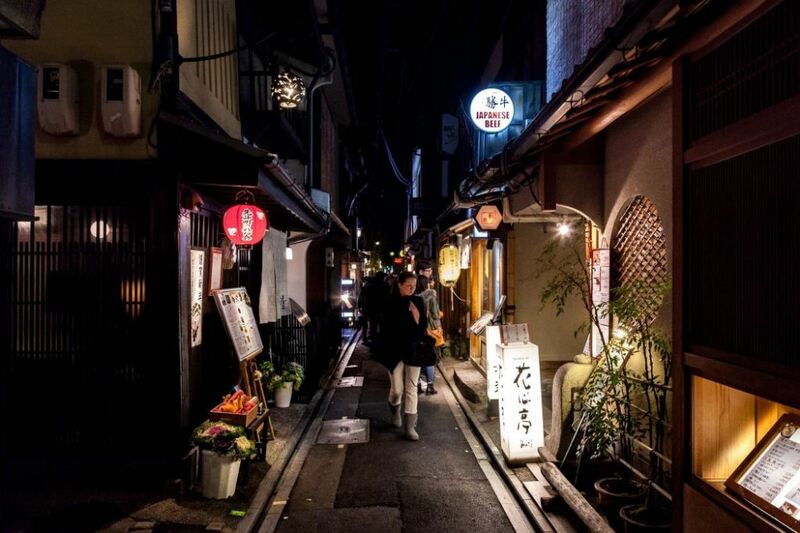 At night, this quaint pedestrian alley with small wooden buildings and atmospheric lighting is the place to see geishas. There is a small selection of restaurants here that welcome foreign visitors with English menus. VISIT: Kiyomizu-dera. 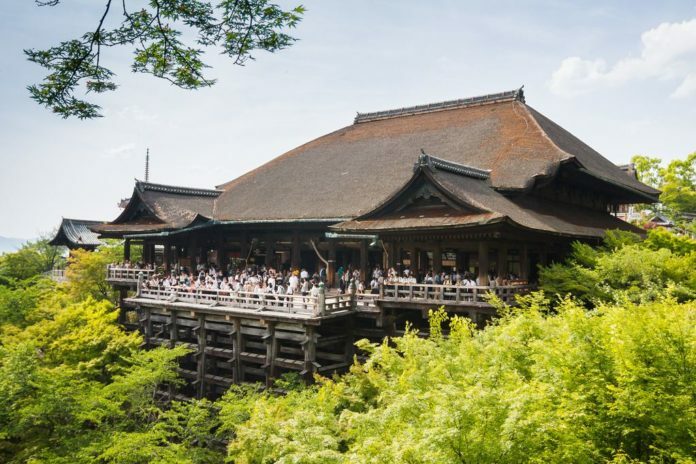 One of Kyoto’s most important attractions, Kiyomizu-dera is a huge Buddhist temple complex located along the mountains that border the east of the city and is part of the Ancient Kyoto UNESCO World Heritage Site. The temple was founded in 798 but now contains structures mostly from the 17th century, including the main hall, pagoda, gates, and elaborate fountains where visitors can try the fresh water from the mountain spring. 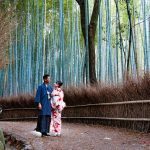 This is one of Kyoto’s most visited attractions, so expect crowds, but a walk around the structures and the hillside views are not to be missed. Arrive early to beat some of the crowds and get a head start on this part of Kyoto that’s packed with sights. Kiyomizu-dera Temple in Kyoto. Image of Kyoto itinerary 2 days blog. 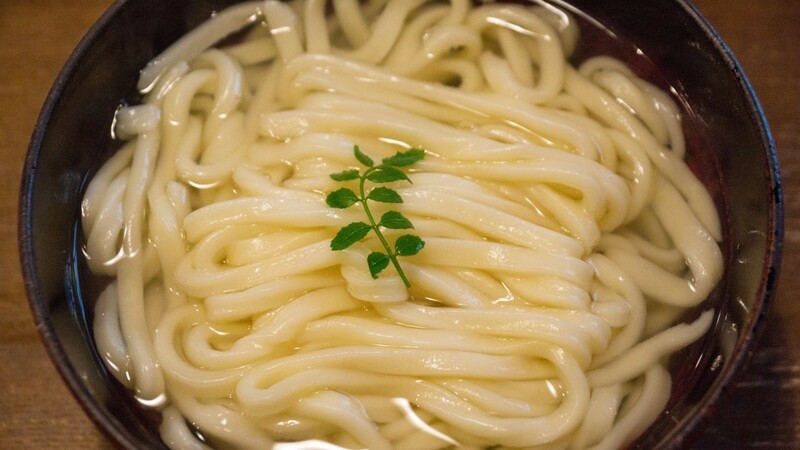 EAT: Udon Noodles at Omen, Kodai-ji Branch near Kiyomizu-dera. This branch of the main Omen restaurant near the Ginkaku-ji Temple is a good bet in the touristy area around Kiyomizu-dera. Near Kiyomizudera there are small ice cream sellers; try the black sesame ice cream if you can find it. 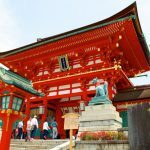 DO: Walk the lanes between Kiyomizu-dera and Yasaka Shrine. The small streets and pedestrian lanes between these two temple complexes provide a peek into old Kyoto. Along the way, stop at temples and sip tea in small teahouses. 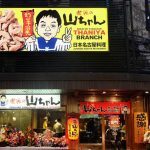 The Ninen-zaka and Sannen-zaka stairs and Nene-no-michi Lane are some of the best places to walk in the city, but they may be crowded during peak season; if this is the case, try visiting in the evening. Stop at the Shinto Yasaka Shrine and take a slow walk through Maruyama-koen Park. 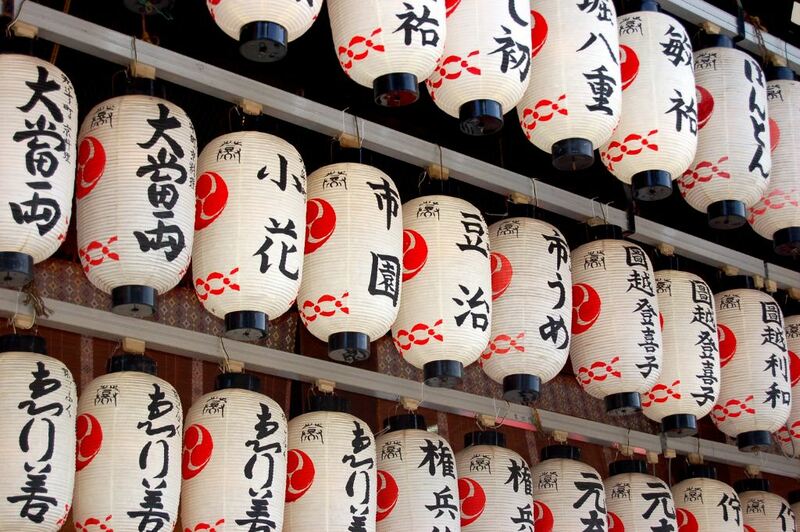 Lanterns at Yasaka Shrine. Photo: S Sala. 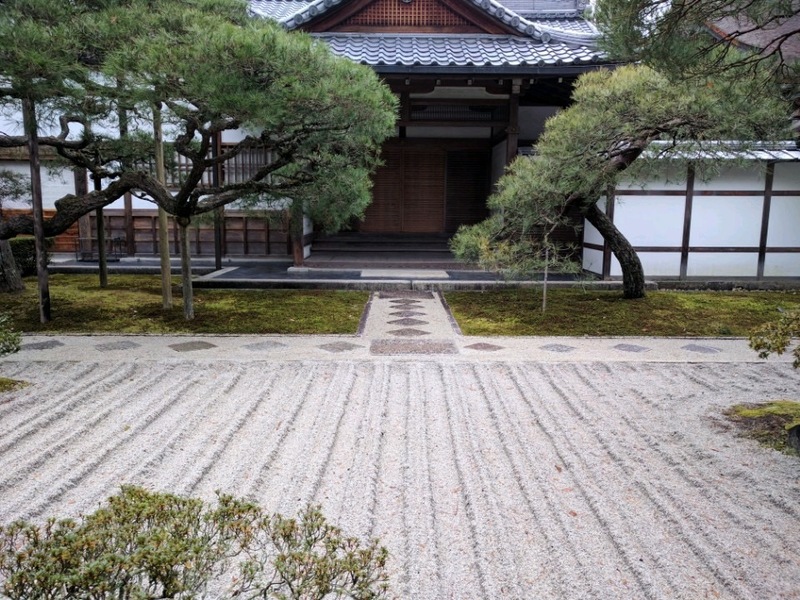 VISIT: One of Kyoto’s top museums. If you still have time after all the temples, you may want to squeeze in a visit to one of the city’s museums. 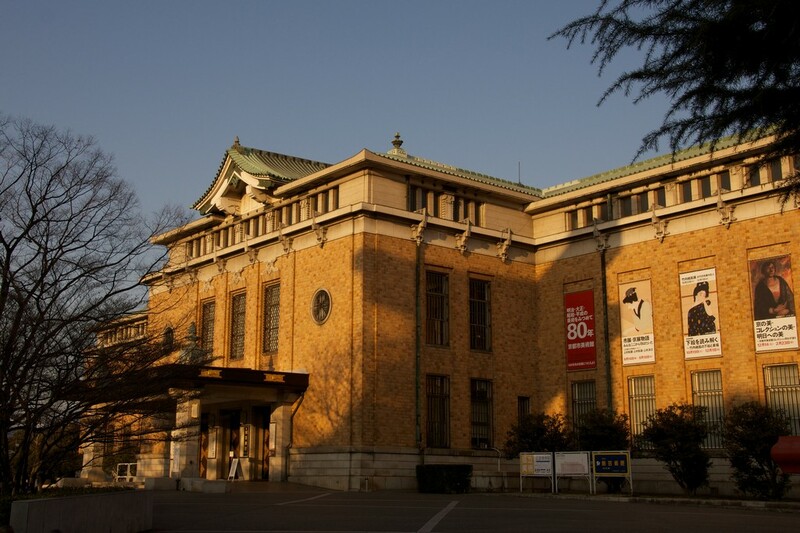 Try the Kyoto Municipal Museum of Art in the nearby Northern Higashiyama district (closed Mondays). The Kyoto National Museum is worth visiting when it’s holding one of its special temporary exhibitions. Kyoto Municipal Museum of Art. . Image of Kyoto itinerary 2 days blog. 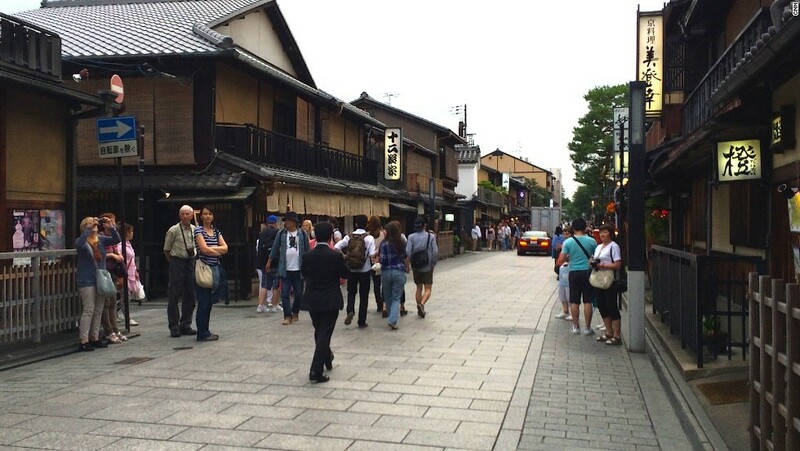 DO: Visit Gion in the evening. This district near Yasaka Shrine is made up of small, traditional wooden structures, mostly high-end Japanese restaurants and teahouses where geishas entertain. 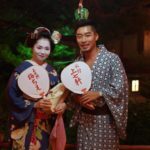 Hanami-koji Lane is one of the most interesting streets in Gion to stroll, but if you’re interested in a more intimate Kyoto experience, guides can arrange for a traditional (but expensive) dinner with geisha entertainment. Hanami-koji Lane. Image of Kyoto itinerary 2 days blog. If you get there in the late afternoon, try traditional sweets and tea at Kagizen Yoshifusa tearoom (closes at 6pm). 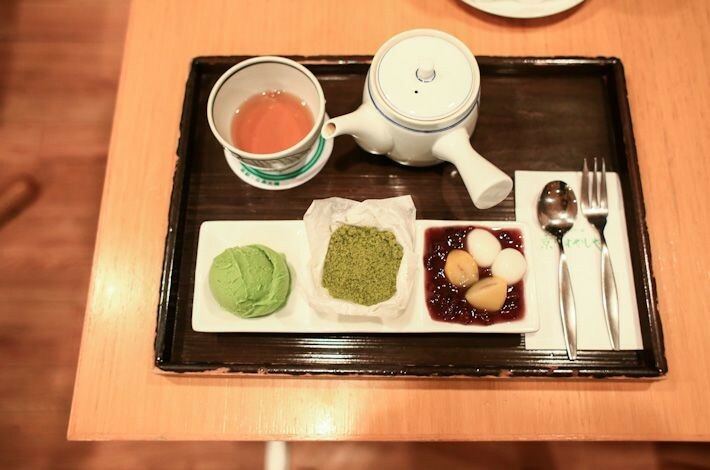 Try traditional sweets and tea at Kagizen Yoshifusa tearoom. 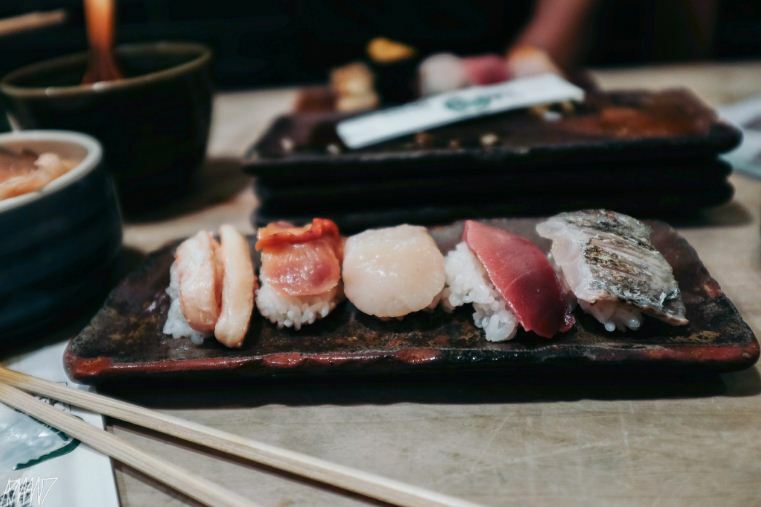 EAT: Try Japanese haute cuisine in the historic geisha district. 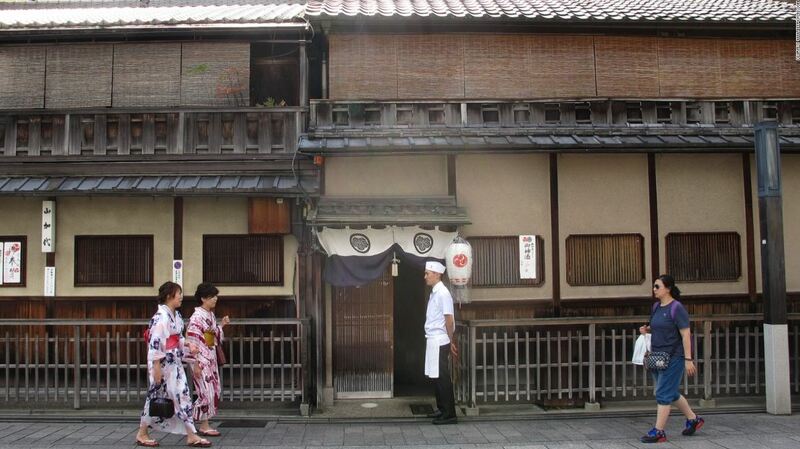 The Gion area has many kaiseki-ryori, or Japanese haute cuisine restaurants. This type of cuisine is always served as a multi-course meal, often with the chef making adjustments to the dishes according to the seasonal ingredients on hand. 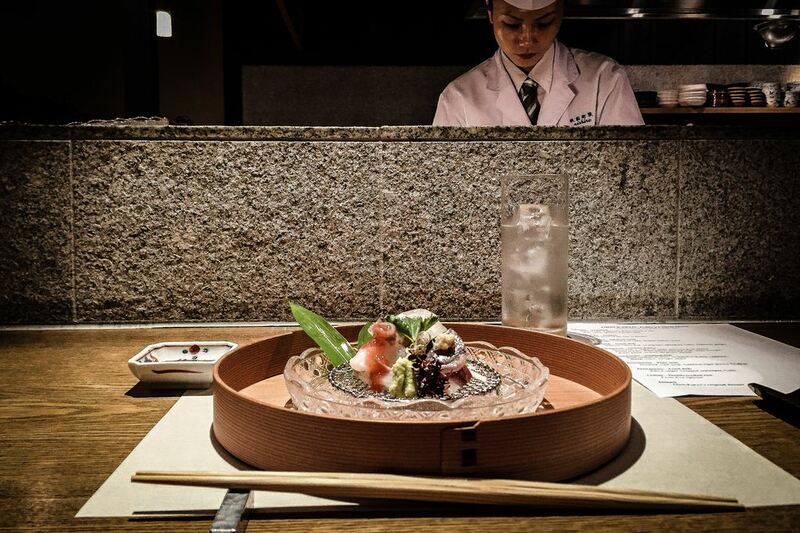 Try Gion Karyo for a more accessible kaiseki restaurant. 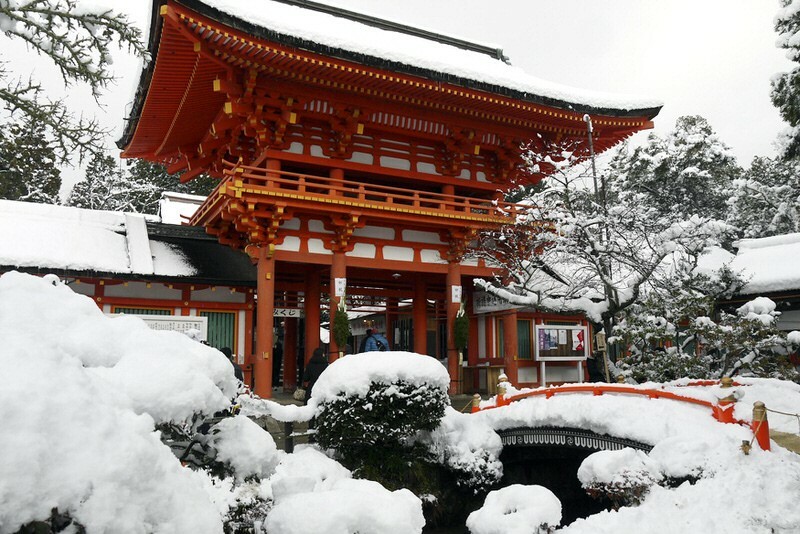 Kyoto is a historic yet modern city with many treasures to be experienced. With just two days in the city, you can take in both the new and the old and understand why people from Japan and around the world rave about this former imperial capital.